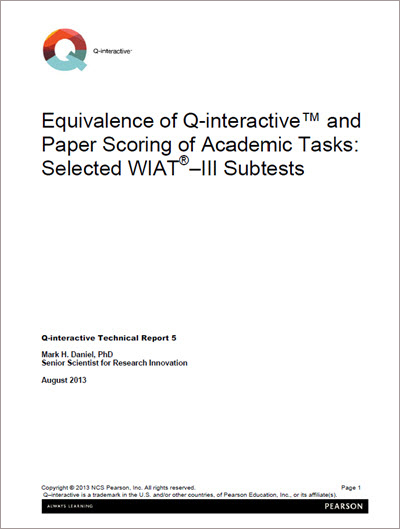 All of Q-interactive’s tests and subtests are backed by rigorous studies. 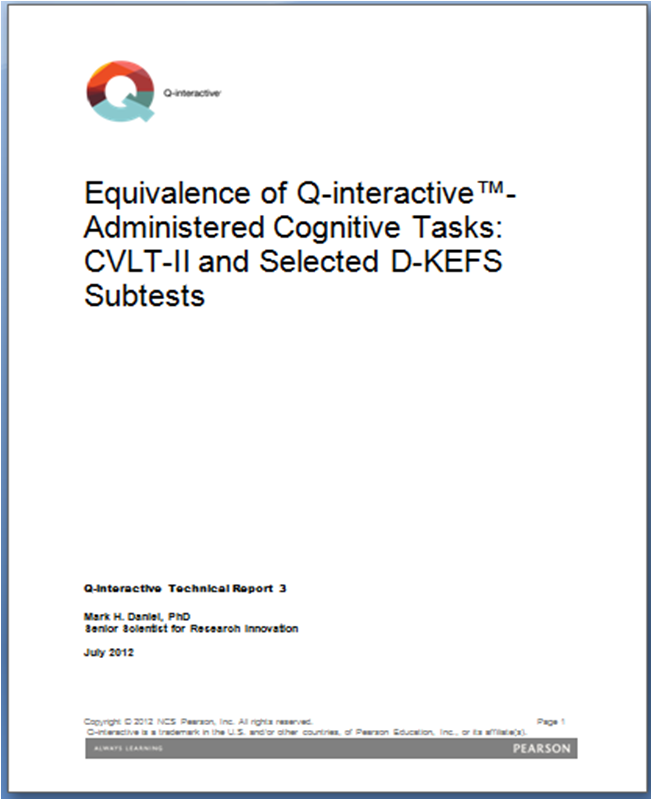 This study evaluated the equivalence of scores from Q-interactive and paper-and-pencil versions of the California Verbal Learning Test, Second Edition (2000) and four Delis-Kaplan Executive Function Scale ( 2001). The CVLT-II and the D-KEFS subtests are tests on which the only plausible sources of format effect would be in the recording and scoring process, because the examinee does not interact with a tablet and the examiner does not intervene while the examinee is answering. This study evaluated the equivalence of scores from digitally assisted and standard administrations of three NEPSY®–II (2007) subtests (Memory for Designs—Immediate, Picture Puzzles, and Inhibition) and two Children’s Memory Scale (1997) subtests (Picture Locations and Dot Locations). In this study, there were no format effects that reached the threshold for non-equivalence. Therefore, it was concluded that scores from digital and paper administrations are interchangeable. 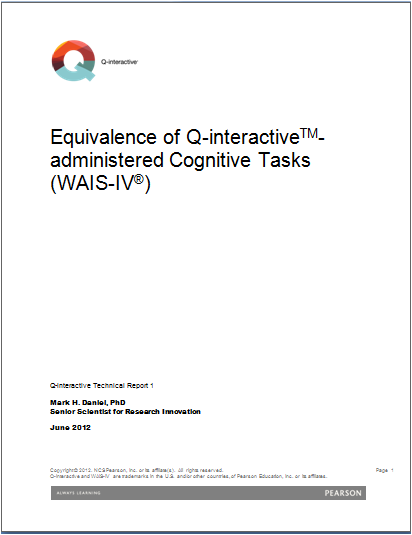 This study evaluated the equivalence of scores from Q-interactive and paper-and-pencil versions of the Wechsler Adult Intelligence Scale, Fourth Edition (WAIS–IV; Wechsler, 2008). 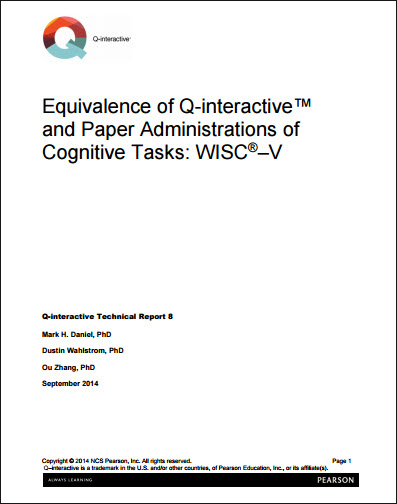 Overall, it demonstrated that scores generated from Q-interactive are interchangeable with those obtained from the paper-pencil format. 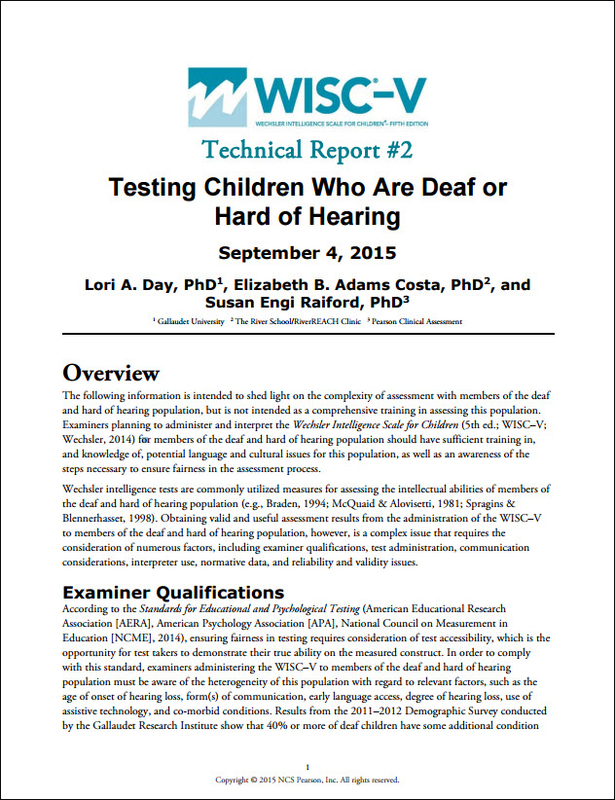 In this study, the equivalence of scores from digitally assisted and standard scorings of two subtests of the Wechsler Individual Achievement Test®—third edition (WIAT®–III; Wechsler, 2009), Oral Reading Fluency and Sentence Repetition, were evaluated. 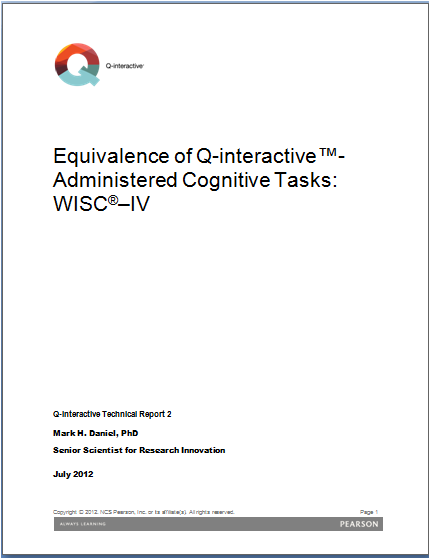 This study evaluated the equivalence of scores from Q-interactive and paper-and-pencil versions of the Wechsler Intelligence Scale for Children, Fourth Edition (WISC–IV; Wechsler, 2003). Overall, it demonstrated that scores generated from Q-interactive are interchangeable with those obtained from the paper-pencil format. 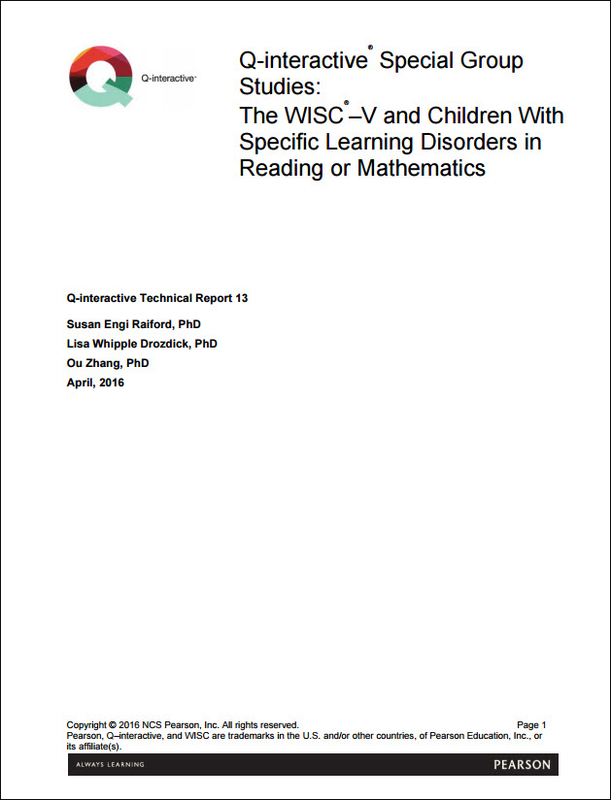 In this study, the equivalence of scores from digitally assisted and standard administrations of the Wechsler Intelligence Scale for Children®–fifth edition (WISC®–V; Wechsler, 2014) was evaluated. 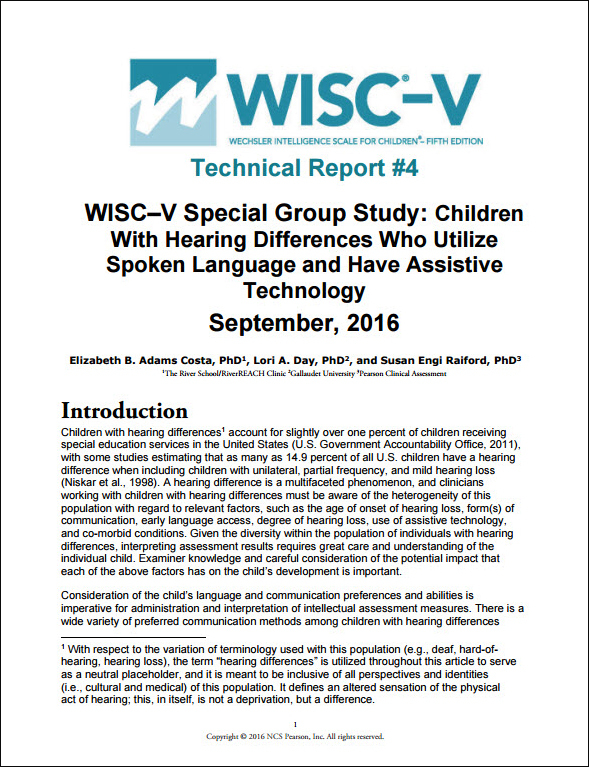 The WISC–V equivalence study found there was virtually no effect of format by ability level. 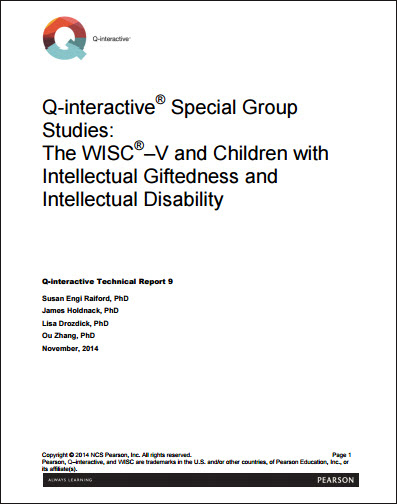 These results are relevant to the current work, as the special groups studied in this report (i.e., intellectually gifted and intellectual disability) represent the extremes of high and low ability, respectively. 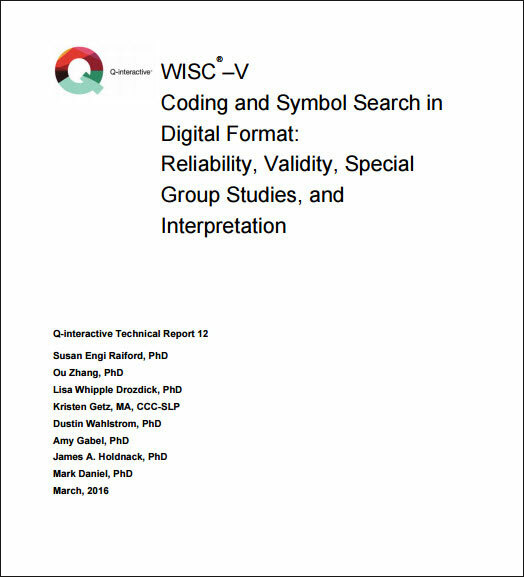 This technical report provides information about the adaptation of the WISC-V Coding and Symbol Search subtests into digital format for Q-Interactive. 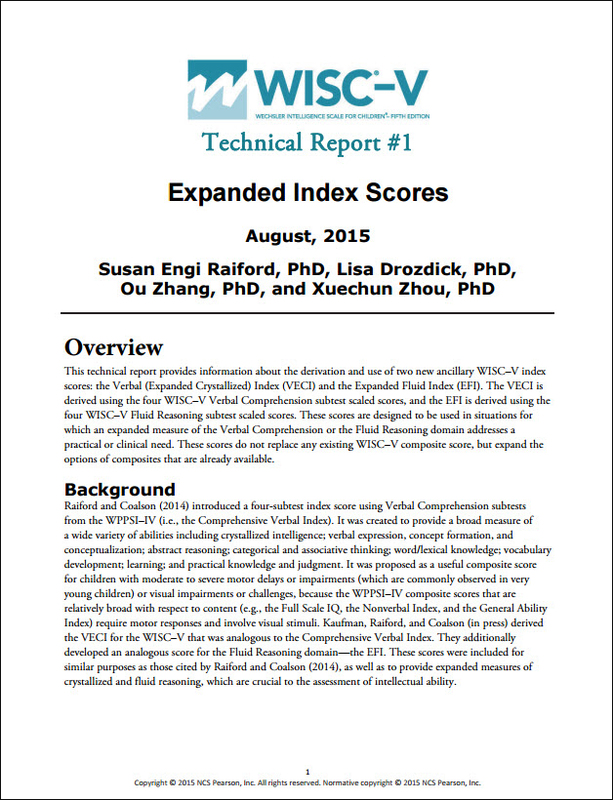 This technical report provides information about the derivation and use of two new ancillary WISC-V index scores. 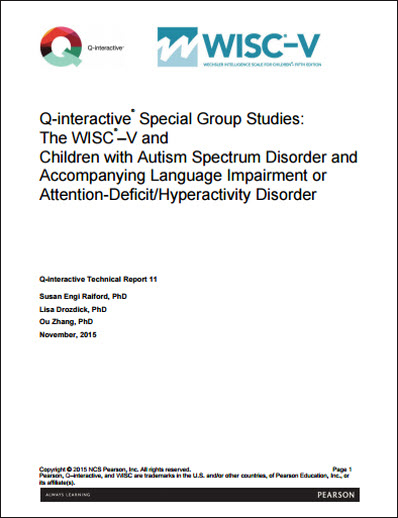 This report is intended to shed light on the complexity of assessment with members of the deaf and hard to hear population. 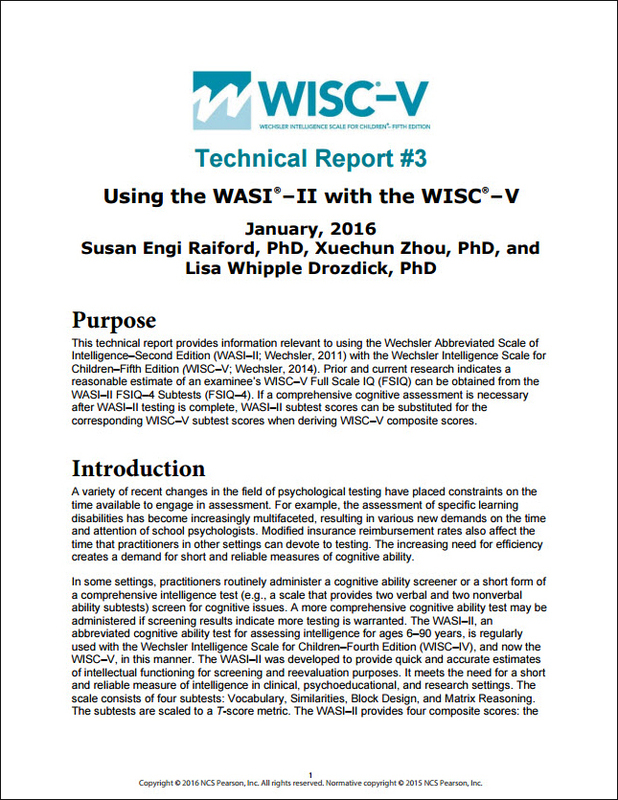 This technical report provides information relevant to using the WASI-II with the WISC-V.